April 27th: Will the World End in 2012? Organization: Columbia University Astronomy: http://outreach.astro.columbia.edu. Description: An increasing number of people believe that December 21, 2012, will mark the end of the world. Proponents of this idea cite diverse astronomical reasons for an imminent apocalypse: the end of the Mayan long-count calendar; an alignment between the Solar System and the Milky Way; the solar sunspot cycle reaching an all-time high; the reversal of the Earth’s magnetic field; and a devastating collision with ‘Planet X’. Tune in to hear to the facts and controversy surrounding this purported impending disaster. Bio: Cameron Hummels is pursuing a PhD in astronomy at Columbia University, where he researches disk galaxy formation and evolution using hydrodynamic simulations. As Columbia Astronomy’s Public Outreach Director and NASA’s IYA New York State Student Ambassador, Cameron organizes many events to bring astronomy to the masses of New York City. Initially interested in programming, Cameron earned a B.A. in computer science from Pomona College, changing course after graduation to pursue an M.A. in astronomy at Wesleyan University. Outside of astronomy, Cameron enjoys travel, hiking, cycling, and foreign languages. He plans to become an astronaut. 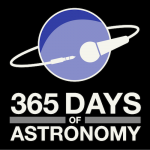 Today’s Sponsor: This episode of “365 Days of Astronomy” is sponsored by AAS. Cameron: Hello everyone, and welcome to Columbia Mondays! My name is Cameron Hummels and I’m a 4th year astronomy graduate student here at Columbia University in New York. I’m joined by Josh Schroeder, a 2nd year graduate student in our department. Say Hello. Cameron: Oh I see, well what did you hear about it? Josh: I heard that there was some ancient prophecy that says a comet will hit the Earth in 2012 and wipe out all of humanity. Cameron: And where did you hear this? Cameron: Oh I see. This seems to be the problem. There are a lot of rumors and unsubstantiated claims being spread around the internet about this whole 2012 business. Before we get to the scientific and historical facts of the matter, let me list off the different *rumors* that I’ve read. The astronomical calendar of the Maya is counting down and it runs out on December 21, 2012. On this day, there will be a cosmic alignment between the Sun, the Earth, and the center of the Milky Way Galaxy resulting in some sort of spiritual or gravitational disaster, the Earth’s magnetic field will flip resulting in cosmic radiation killing us all, a massive solar flare will shoot out of the Sun and burn the Earth to a crisp, and we will be struck by a massive planet from the outer solar system causing mass destruction. According to these rumors, any way you look at it, we’re toast! Josh: Yeah, that doesn’t sound good. Cameron: I’m here to tell you that you have nothing to worry about. While each of these claims has a hint of true science in it, the resulting predictions are totally absurd. Cameron: Yeah, it would be entertaining if there weren’t so many people out there who actually believe this hogwash. So let’s get down to it. The first claim that these doomsdayers make is about the Maya calendar. The Maya were a classical civilization that flourished in Central America between 200 and 900 AD. Among other things, they were good mathematicians and astronomers, as good as the Greeks, which meant they were good at keeping track of time. In fact, they had several different calendars tied to different cycles, a lunar calendar, a solar calendar, a Venusian calendar, a ritual calendar, etc. Of course, these cycles are all relatively short, so they invented a “long count calendar” in order to keep track of longer periods of time. The long count calendar consisted of 5 different digits to keep track of the number of days since the beginning of time, so for instance, today is 12.19.16.5.4. It is a little weird for us westerners because they used a base-20 numerical system instead of a base-10, but it is a very logical system. You can think of their long count calendar as sort of equivalent to our western calendar of years since Christ’s birth. Of course, they didn’t know or care about Christ when they invented their calendar, so they chose the “beginning date” of their calendar to be August 11th, 3114BC, even though this was long before the Mayan people were actually around. Josh: Now, that’s a pretty strange date to choose as the beginning of your calendar. Cameron: Not really, it isn’t any more arbitrary than us choosing January 1st, 1 AD to be the defining day in our Western calendar. Anyway, What *is* interesting about the date that marks the beginning of their long count calendar, is that they didn’t label it as day 0.0.0.0.0, as we might have logically expected; they labeled it 13.0.0.0.0, with day 0.0.0.0.1 following it. It would be a bit like us calling the first day of our western calendar some arbitrary date like March 13th, 1978AD, and then having it followed by Jan 2nd, 1AD. Josh: That’s pretty weird though. Cameron: Yeah. But now you may see the cause for everyone’s concern. December 21st, 2012 marks the first time that the Mayan calendar has returned to this original date of 13.0.0.0.0 since the beginning of their calendar system over 5000 years ago. It isn’t that the calendar is *ending*, but it is just reaching the same date that it had it when it began. Josh: Oh, so that’s why everyone is so concerned. Cameron: Yes, but what’s interesting is that the ancient Maya themselves never foretold any prophecies about the destruction of the world on this date. According to many Mayan scholars, they may have celebrated it, but they certainly didn’t view it as some sinister date to be feared. In fact, there are stone carvings that predict there will still be people celebrating the coronation of king Pakal in the year 4772 AD, long after 2012 has come and gone. Josh: So this whole calendar ending thing is sort of like Y2K. Cameron: Precisely, it is a consequence of people getting alarmed at some alignment of digits in an arbitrary calendar system. By all accounts, the same thing happened in the west when the year 999 AD transitioned to the year 1000AD, people thought Christ was going to return. Furthermore, I’m not sure why we should be particularly trusting in any sorts of prophecies that the Maya made, since they didn’t foresee the collapse of their own society around 900 AD or the Spanish conquest in the 1500s. Josh: Ok, so now I’m not so worried about the Maya calendar, but what about that Galactic alignment you mentioned earlier? Cameron: Let’s be clear on what an astronomical alignment is. It’s when three or more astronomical bodies line up in space. Doomsdayers claim that the Earth, the Sun, and center of the Milky Way are going to align precisely on December 21, 2012. And you know what, they are correct. Well, nearly so. They’ll be about 6 degrees off from each other, but the imaginary line connecting the Sun and the Earth and extending to infinity will cross over the Galactic plane, that is the Milky Way’s plane, on that date. The point that isn’t often mentioned associated with all of this is that this happens *every year*. It doesn’t always happen on December 21st, it might happen on December 22nd, or December 23rd, but it still happens every year. Josh: Wait, but isn’t that alignment kind-of special? Cameron: The gravitational force associated with the Milky Way core, or with the Sun for that matter, are dramatically weaker on earthbound humans than the gravitational force from the Earth. So all of those non-Earth gravitational forces for all intents and purposes are zero; they’re just too weak to affect us here. Nothing special happens during these alignments. This is consistent with the fact that we’ve had these Galactic alignments for every year in history and nothing special has ever been correlated with them. Josh: Alright, so the Galactic alignment is not something to worry about, but what about the magnetic field of the Earth reversing? That sounds pretty bad! Cameron: To give a little background–everyone knows about the Earth’s magnetic field–it’s what allows compasses to point to the north pole, birds to navigate, and it even plays a role in creating the Northern Lights. The Earth’s magnetic field is caused by the rotation of the Earth’s liquid metal core, and this field extends outward through the surface of the Earth creating a sort of magnetic envelope shielding the Earth. This magnetosphere, as it’s called, helps the atmosphere deflect and block cosmic rays and other potentially harmful particles from getting to the Earth’s surface. The field is a bit like a bar magnet’s field with a north pole and a south pole. Interestingly enough, the magnetic pole doesn’t always align with the geographic pole, so for instance, now, the north magnetic pole lies in northern Canada, not at the true geographic north pole. It wanders over time–it has wandered almost a thousand miles in the 20th century. Once in a very long time (like every few million years) the magnetic poles flip, so that the north magnetic pole points to the south geographic pole, and vice versa. Such an event is called magnetic reversal. Scientists believe, however, that these reversals are a very slow process taking thousands of years, not the sort of thing that would occur in a day or a year. Josh: OK, but what *would* happen if the Earth underwent a magnetic reversal? Cameron: OK, so let’s say that the Earth does undergo a long, slow magnetic reversal. It is very unlikely that we would be harmed by it directly. Sure our compasses wouldn’t work for a while, but our magnetosphere would still be present, even if it were somewhat weaker than before. Scientists believe that it would still be capable of blocking most damaging cosmic rays from reaching the surface. In fact, there is evidence that a magnetic reversal occured while homo erectus, our ancestor, was around, and it doesn’t appear that they suffered a mass extinction from this. Josh: Alright alright, so we don’t have to worry about magnetic reversal, but what about those solar storms that will burn up the Earth? Cameron: Like the Earth, the Sun has an active dynamo in its interior generating strong magnetic fields, but unlike the Earth, these fields are orders of magnitude more powerful and they erupt in a number of ways. One of these ways is sunspots, regions on the surface of the Sun where magnetic storms rest, keeping gas close to it cool and darker than the rest of the surface. Another result of the Sun’s magnetic fields are coronal mass ejections, or CMEs, which occur when subsurface magnetic field lines are thrust outward into space and carry with them material from the hot solar interior. Lastly, there are solar flares; these occur when magnetic reconnection occurs on the surface and solar material is accelerated dramatically resulting in x-rays or other high-energy radiation spewing outward from the Sun. Josh: Wow, so that’s all pretty dangerous! Cameron: Well, the sunspots are not a threat to us on the Earth, as they are a phenomenon local to the surface of the Sun, but flares and CMEs can potentially be a problem for objects in orbit around the Earth. Our magnetosphere, the magnetic field surrounding the Earth, protects us from outflowing solar material contained in CMEs, and our atmosphere protects us from the x-rays in a solar flare. However, objects in orbit, like satellites and astronauts, aren’t as well protected by our atmosphere or magnetosphere so they are potentially at risk. Josh: So why are all these people concerned about this sort of thing happening in 2012 specifically? Cameron: Solar magnetic activity is known to oscillate with an 11-year period, although it is still not fully understood why. Right now we’re in the minimum part of that oscillation, which means that 2012 will be closer to maximum in this magnetic activity cycle. Doomsdayers believe that this maximum will be the biggest maximum in history, but really, there is no scientific evidence backing up this claim. Even if it were true that there were loads of solar magnetic activity on its way in 2012, the most it would mean is that we might lose a few satellites and we’d have to ground some astronauts–certainly not a mass extinction event or a doomsday possibility. Josh: Alright OK, so we don’t really have to worry about the solar storms, but what about, I don’t know, a cometary collision that’s going to happen on December 21, 2012? Cameron: The doomsdayers believe that a comet, or an object named Nibiru or “Planet X” has been sitting in the outer regions of the solar system and will enter into the inner solar system on December 21st 2012 causing mayhem and destruction. Depending on who is telling the story, the object may directly collide with Earth, or it may just pass close enough to mess up our orbit, but either way the result is the same: environmental and social crisis. Josh: Oh, so we probably should be worried about this, right? Cameron: Here is the supposed evidence. Historically people have noticed perturbations in the orbit of Neptune that suggest there may be a massive body, like another planet, undiscovered in the outer solar system. People have been looking for it since the 19th century. 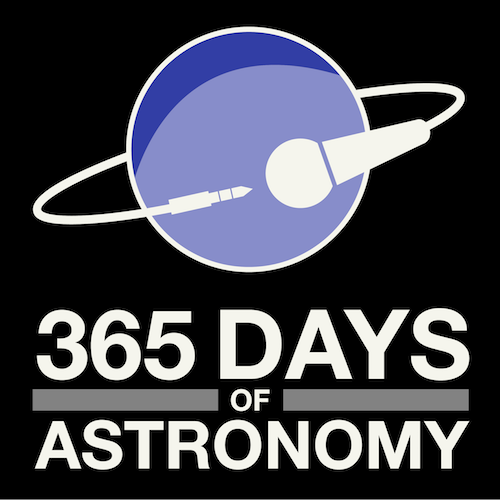 Different proponents have claimed to have seen evidence for it at 30 AU, 50 AU or 200 AU from the Sun, where AU is an astronomical unit, the distance from the Earth to the Sun. Josh: Oh, so there probably *is* something in the outer Solar System. Cameron: Well, there may be. But, scientists are actively searching for objects in the solar system with near-Earth trajectories, since the consequences of an impact with one could be dire. The NEAT, Near-Earth Asteroid Tracking team, is using high-powered, high-resolution telescopes to find and track potentially dangerous objects. They’ve done a good job so far, and they estimate that the probability of discovering an Earth-impacting object with only 10 years of lead time is 1 in 10,000, and this probability goes down with less lead time, so the probability that a rock is going to hit the Earth in 2012 that we’ve not yet discovered is around 1 in 100,000 or even lower. I personally like those odds. Josh: Alright, I guess I do too. Cameron: Lastly, people seem to forget that space is really vast. Remember the podcast intro “This stuff is far?” Even if there were an object at 50 AU that was in gravitational free fall coming directly at us here on Earth, I did the math, and it would take over 160 years to reach us, not the suggested 3.5 years left before December 21, 2012. Over that kind of time span, there is a lot we can do to divert its path before impact. Josh: OK, well, I guess I’m not exactly convinced. Maybe you can go over it a little more and tell me why I shouldn’t be worried that the Earth is going to end on December 21, 2012. Cameron: Alright, let’s recap. There are some people claiming the world is going to end on December 21, 2012. They base their claims on the end of the Maya long-count calendar and several false scientific claims about astronomical disasters. Fact: The Maya long count calendar does not *end* on December 21, 2012, it simply cycles to the calendar’s start date and the the Maya never prophecied that any disasters would befall humans or the Earth on this date. Fact: The claims that there will be some sort of alignment between the Sun, the Earth and the Galactic Center are true, but it is nothing special, since this alignment happens *every* year. Fact: The Earth’s magnetic field takes thousands of years to reverse, not 1 day. Even if it were to flip on December 21, 2012, it is unlikely to have any direct negative impact on Humans other than our compasses not working. Fact: The sunspot cycle may reach a maximum in 2012, but it is doubtful to have a significant effect on humans on the Earth. Our magnetosphere and atmosphere protect us from most solar activity, and the worst that might happen is a few satellites may be damaged, not humans on the ground. Fact: The claims that a planet X, or comet will come in from the outer solar system and strike the Earth on this date are very very low, like 1 in a hundred thousand low. Nothing to worry about. I hope this podcast reassures you that life on Earth is not threatened on December 21, 2012 any more than it usually is. Doomsdayers are just kooks trying to get their 15 minutes of fame or sell a product. I advise the public to be skeptical of rumors or claims that are too good or too bad to be true because they probably are. If you’d like to learn more about this topic from reputable sources (i.e. PhD researchers) check out the work by Ian O’Neil on UniverseToday.com (PhD in solar physics) and the work on FAMSI.org by Mark Van Stone (PhD in Mesoamerican art history and anthropology). This has been a podcast of Columbia University here in the City of New York. For more information about our public events at Columbia Astronomy visit outreach.astro.columbia.edu. Our next Columbia Monday podcast will be on Monday, May 25, where Robert Morehead will be speaking about “Tides: More than What Floats Your Boat.” Have a great day and keep listening. Cameron Hummels is pursuing a PhD in astronomy at Columbia University, where he researches disk galaxy formation and evolution using hydrodynamic simulations. As Columbia Astronomy’s Public Outreach Director and NASA’s IYA New York State Student Ambassador, Cameron organizes many events to bring astronomy to the masses of New York City. Initially interested in programming, Cameron earned a B.A. in computer science from Pomona College, changing course after graduation to pursue an M.A. in astronomy at Wesleyan University. Outside of astronomy, Cameron enjoys travel, hiking, cycling, and foreign languages. He plans to become an astronaut. 151 Responses to April 27th: Will the World End in 2012? this was amazing thank you. I did research before i landed on this podcast and all of the research that i found was all given in this. However, do you know what NASA is prediction. something about that planet x would pass the earth but 15 million miles away? It was a very interesting and a very useful information. Of course, an average person with no scientific background might feel very scared by all this. So, these simple explanations made by scientists are very useful. Thank you so much. The sad part is that humans are the most damaging factor for this planet, not some danger from outer space. But they miss it. They should be afraid of themselves, not some comet, flare..etc. They are the biggest calamity, the disaster for this planet..alas. You made me feel so much better, i do really believe you on this 1 because, doomdays believers based there belief on the doomsday prediction on the Mayan Calendar, but they doesn’t know that the mayan calendar might have another calander continuin on to the one that ends on Decemeber 21,2012. Thank you soooooooooo much for this espisode! This episode is very good, I never believed the 2012 Doomsday thing, but I learned some new stuff. I should send this one to some people! What makes you think that it will happen? I’ve done a lot of research (which is how I made the podcast), and there is no evidence suggesting that December 21, 2012 is going to be any different from any other day. Why do you believe otherwise? Is this belief based on any facts?